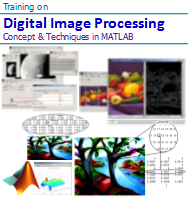 mathematical models to MATLAB M-codes implementation ..."
Target tracking is an important element for guidance, obstacle avoidance or surveillance systems, whose role and function is highly dependent on the position, movement and the number of targets being tracked. 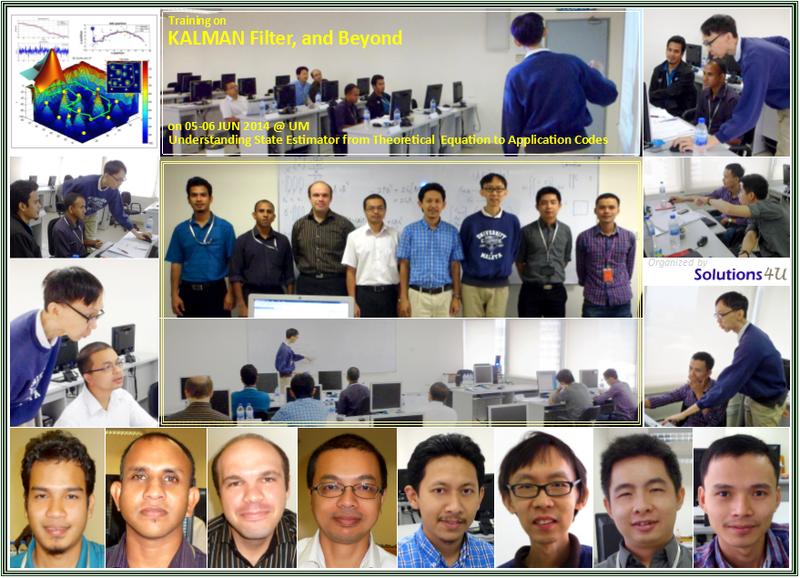 The basic building block of a tracking systems is a filter for recursive target state estimation, KALMAN Filter, which is the best known filter algorithm being formulated more than 50 years ago. The problem of state estimation concerns the task of estimating the state of a process while only having access to the noisy measurements from that process. It is a very ubiquitous problem setting, encountered in almost every discipline within science and engineering. The most commonly used type of state estimator is the KALMAN filter. The KALMAN filter, named after Rudolf E. Kalman, is an optimal estimator for linear systems, but unfortunately very few systems in real world are linear. 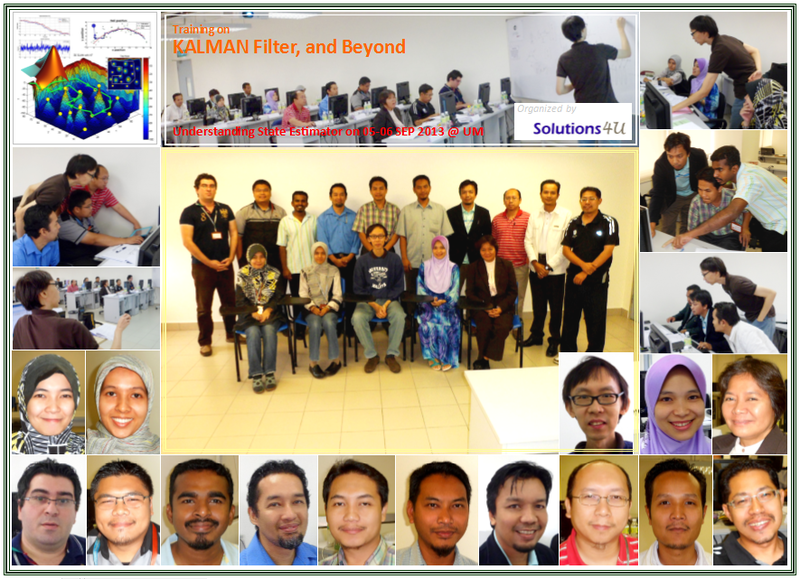 A common approach to overcome this problem is to linearize the system before using the KALMAN filter, resulting in the extended KALMAN filter. This linearization, however, is not without its problems. The development of better estimation algorithms for nonlinear systems has therefore attracted a great deal of interest in the research community, because improvements here will undoubtedly have great impact in a wide range of engineering fields. 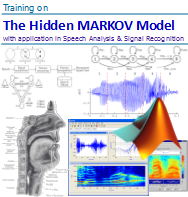 This course is intended as a practical introduction to the KALMAN filter and its variants. 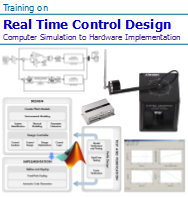 As such, there will be a series of hands-on exercises which are generally aimed to help translate the theoretical models to practical applications. 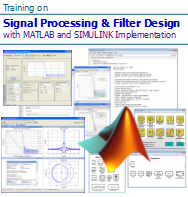 This course is conducted in a workshop-like manner, with a balance mix of theory and hands-on coding and simulation in MATLAB. 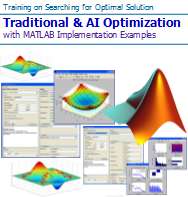 Extensive exercises are provided throughout the course to cover the algorithm design and implementation using MATLAB. 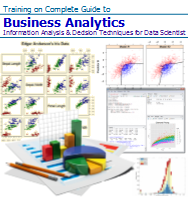 The course begins with an overview of the estimation problem, and a review on the basic concepts in state estimation. The KALMAN filter and its variants are then introduced in turn, each offering improvement / enhancement over its predecessor. 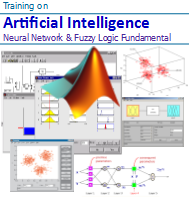 The derivation of the main algorithms are covered, but kept to a minimum, to enable better understanding and to provide insight on the conceptual ideas behind these algorithms. Application examples are provided at the end of each section to help reconcile theory with actual practice. 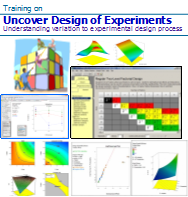 A basic knowledge of probability theory, signal processing and Octave/MATLAB programming is preferable. 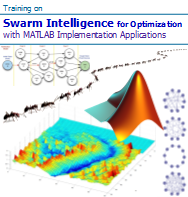 The primary target audiences for this course are researchers, engineer, scientists, mathematicians and programmers at all levels who work with or need to learn about KALMAN filtering and/or state estimation. No background in either of these topics are, however, assumed. 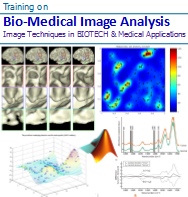 The detailed course material and many source code listings will be invaluable for both learning, reference and implementation.